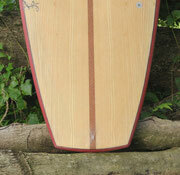 Third Sesame, David's is a 5'8" ash and lace wood with dark red rails seed. 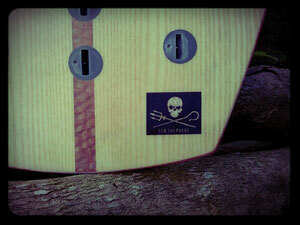 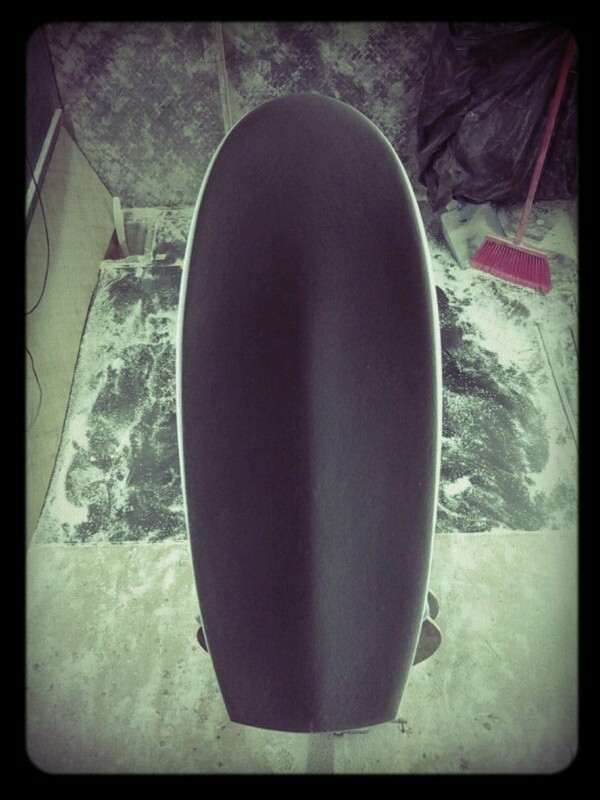 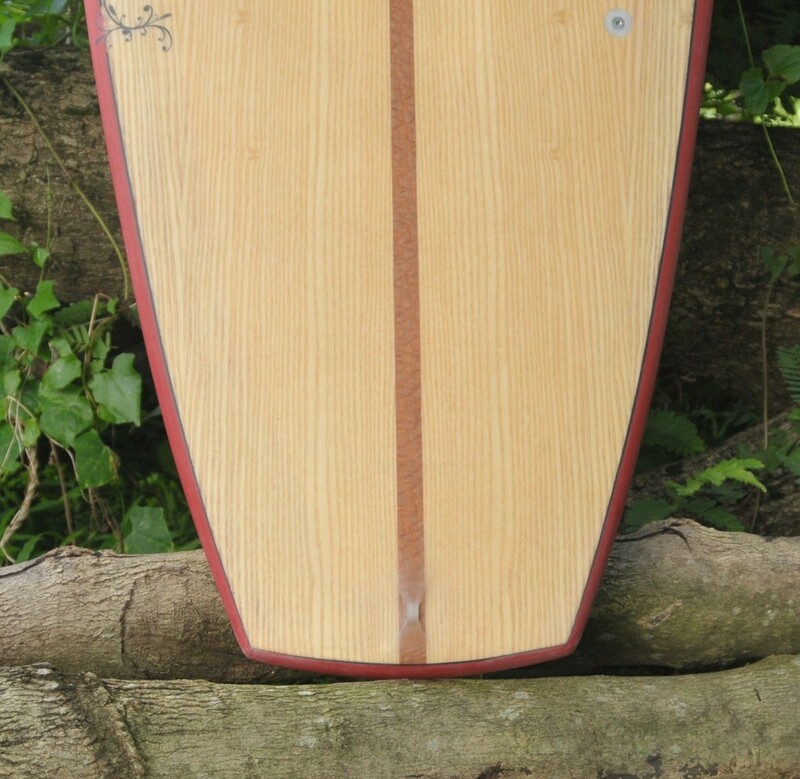 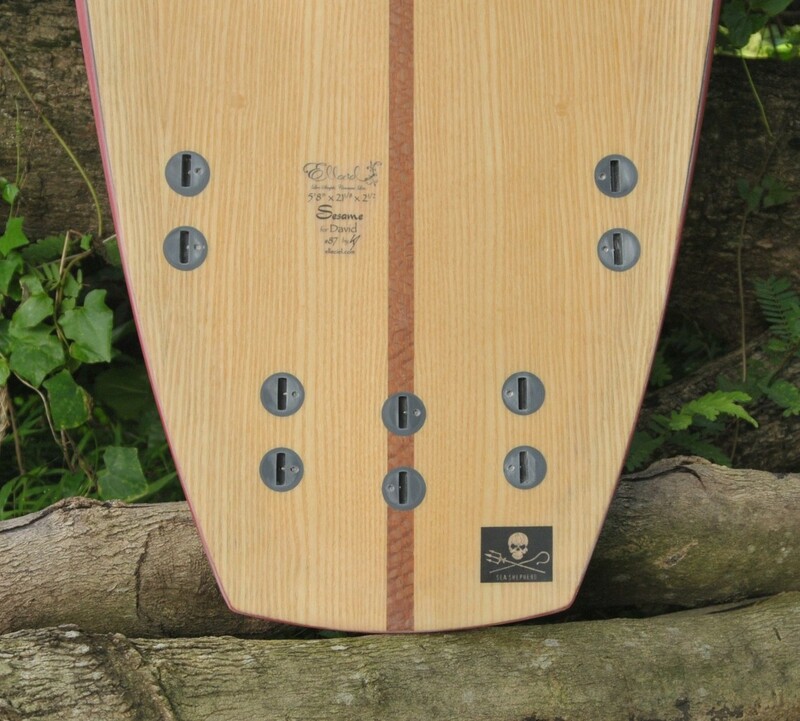 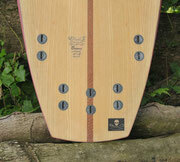 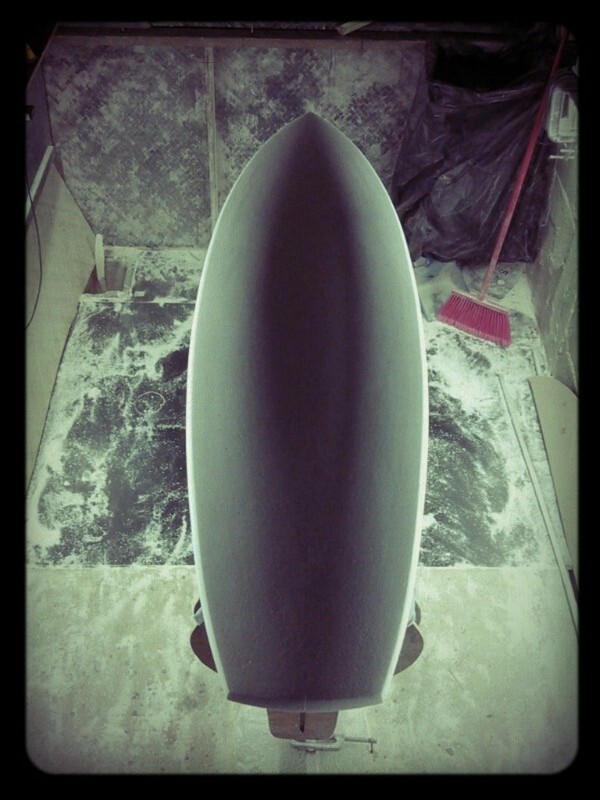 Single to Vee double concave bottom and slightly concave deck. 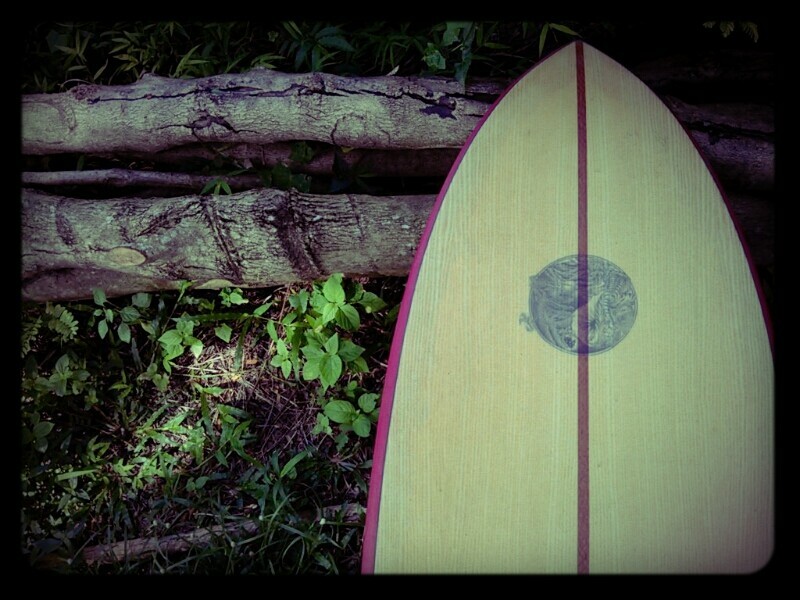 A board made for our local breaks in Phuket. As a supporter of the Sea Shepherd, David runs their flag up.